VIAZ - First major decentralized peer to peer funding platform on Tezos. One of the industries benefiting from blockchain technology is the fintech industry, Through blockchain technology, smart contracts and distributed ledgers businesses and private individuals are making use of blockchain technology towards financing and lending online. Peer to peer lending is one of the optimized fintech processes that is benefiting a lot from blockchain technology and the most common problems blockchain is solving is the lack of trust in peer to peer lending. 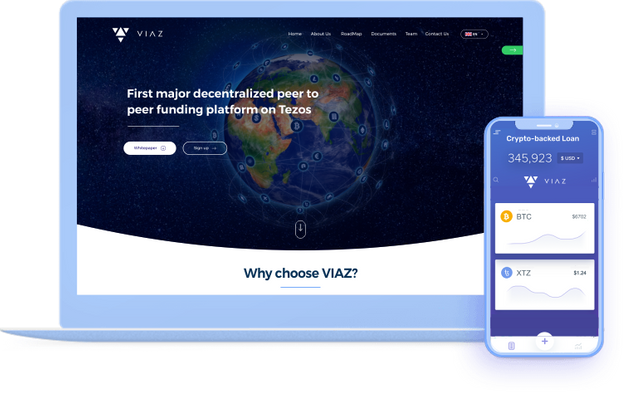 One of the blockchain projects using the power of blockchain technology towards revolutionizing peer to peer lending is VIAZ, powered by TEZO. VIAZ is a decentralized platform that taps global decentralized environment and uses smart contracts and distributed ledger technology to automate transitions on its platform. Services offered on the platform includes crypto backed loans and home backed loans. 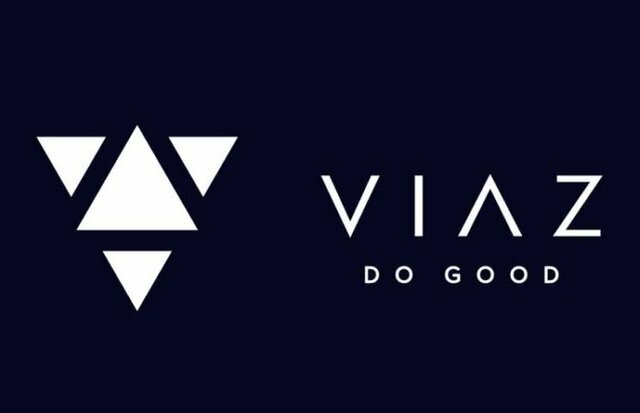 VIAZ is powered by TEZO a blockchain project that is revolutionizing blockchain technology through its on-chain governance that promises an innovative self-amending distributed network, TEZO is a permissionless network that improves previous generations of blockchains such as bitcoin and Ethereum. TEZO started its ICO in 2017 and was able to raise $232 million dollars towards the development of its blockchain and management. VIAZ plans to tap on the technology provided by TEZOs towards developing its platform on the TEZO blockchain and make use of this features such as TEZO smart contracts and distributed ledgers towards providing the first peer to peer lending platform on TEZO blockchain. Borrowers will request a loan through the VIAZ platform, automatically a smart contract powers by TEZO will process the transactions according to the terms and conditions agreed by the parties, If the borrower accepts the terms and provides collateral that is verified by VIAZ protocol, VIAZ smart contracts automatically release the funds if both the terms are accepted and the collateral is approved. this system takes less time compared to centralized financial institutions lending services. VIAZ promotes Equality on a global scale. Being in the financial industry i have learned that centralized system normally charges high interest to individuals who are termed as risky clients, the interests are triple the interest rates compared to individuals termed as less risky. Blockchain technology is better optimizing lending services by using automation and tapping this market by reducing the risk associated with lending to these communities and allowing these communities access loans towards improving their businesses and financial needs. VIAZ decentralized natures will allow its services to reach a global community that is enabled by crypto lending offers in an improved peer to peer environment. borrowers and lenders will be able to interact in a mutual relationship without geographical barriers and reduce systematic risks pose by economics changes, the costs associated with VIAZ transactions is minimized thanks to its tokenized economy, this allows lenders to maximize on profits and borrowers to minimize transactions costs when using the platform. VIAZ Noble idea and potential market. According to recent research, 39% of global communities don't have a bank account, this means that these people don't have financial records and would be difficult for them to secure loans despite the need of borrowing to finance their businesses. the unbanked communities, people with bad credit scores and barred individuals are not able to borrow loans from centralized financial institutions. VIAZ will be able to tap this market by using modern technology that uses automation in a decentralized environment that could not be reached by centralized financial institutions and connecting lenders and borrowers in a decentralized platform that instils confidence in a mutual relationship. As more people adopt cryptocurrencies in their financial transactions, VIAZ will enable the unbanked communities without financial records access loans on its platform and offering business services to lenders who will be able to use the platform to lend to borrowers on interest in a mutual relationship. Powered by TEZO revolutionary smart contracts is ideal in the financial modern industry which is more optimized when used by financial applications such as VIAZ. 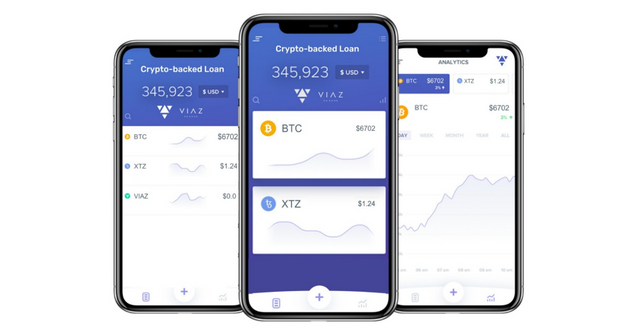 Combining the benefits of TEZO tools and infrastructures with its own innovative application, VIAZ foolproof technology will make lending and borrowing financial assets simple and automated through smart contracts, transparent through the use of distributed ledger and efficient.